The YETI school serves to promote interaction between theorists and experimentalists at the early career stage and to encourage interest in phenomenology. YETI aims to give a pedagogical introduction to a particular area of topical interest in particle physics. A key feature is the hands-on sessions in the afternoons. 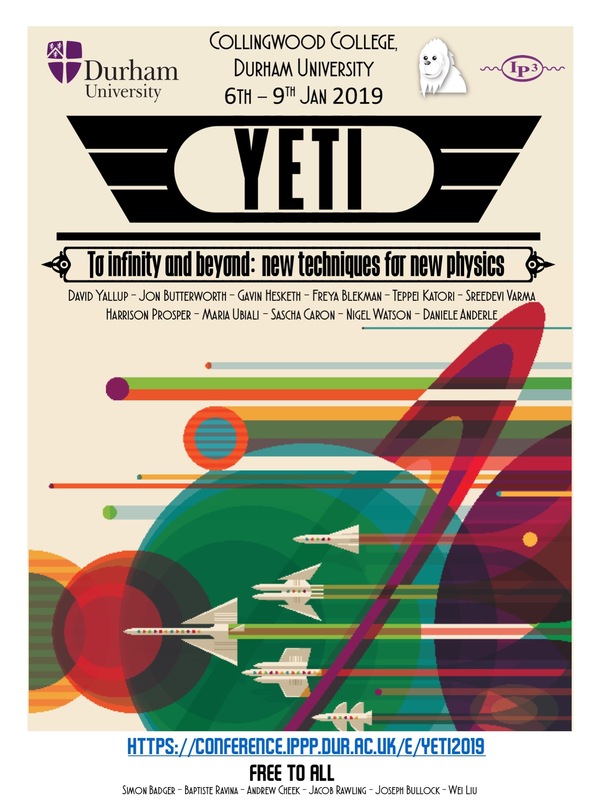 This year YETI goes "To Infinity and Beyond: New Techniques for New Physics". We will look at the potential of new experiments and the analysis techniques that can help to probe the fundamental interactions.